Spring took us to the Wild West thanks to the Western trend and the return of cowboy boots. For fall, we’re going up — to the mountain that is. 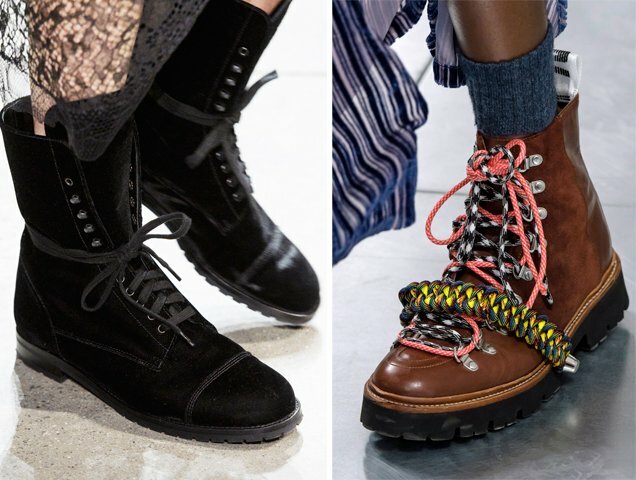 Hiking boots are one of the biggest footwear trends of the season and they’re giving traditional Chelsea, motorcycle and knee-high boots some competition. The runways embraced the chunky, gone-camping footwear, with House of Holland, Michael Kors, Off-White and Jonathan Simkhai showing different variations of the trend. The traditional lug soles and laces of hiking boots remained, but fabrics, colors and heel heights varied. Some iterations were more practical for trekking than others. For instance, the stiletto versions at Jonathan Simkhai were better suited for stomping the city streets like J.Lo during peak “Jenny From the Block” days compared to scaling a mountain. That’s not to say the flatter versions would look out of place in the city. The classic thick-soled Timberland boots look appropriate no matter the terrain. 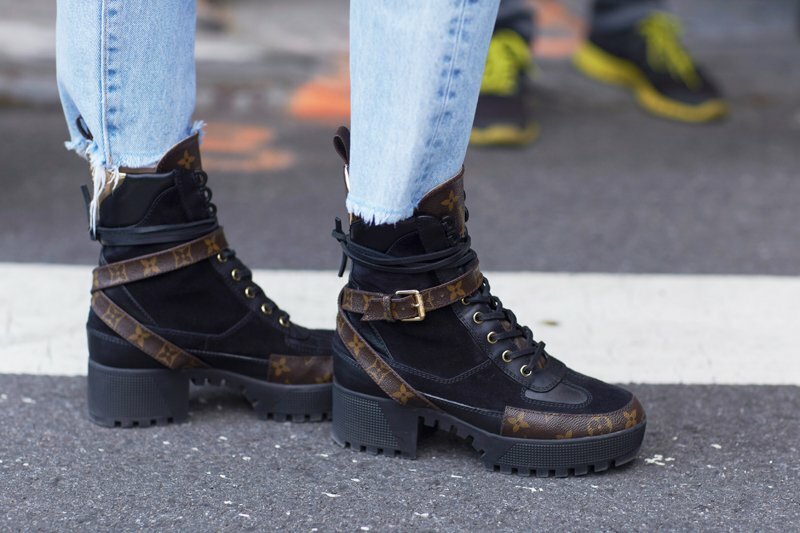 Fashion girls were spotted marching in them and other rugged footwear options during the recent shows in New York, London, Milan and Paris. Thankfully, you don’t have to know anything about hiking to wear hiking boots this season. They pair well with utilitarian dressing (jeans, khaki jackets, cargo pants, boilersuits), but using them to contrast more unexpected, lighter silhouettes can reenergize some old styles in your wardrobe. Hiking boots will ground a maxi dress and bring sequins into daytime. Put your best foot forward with these 16 pairs of hiking boots.